Der-shing Helmer is an award-winning science-fantasy and educational comic artist from the CA Bay Area. She is the creator of the Ignatz-winning science-fantasy webcomic The Meek, the science-fiction webcomic Mare Internum, and editor of the upcoming Alloy Anthology. Der-shing is self-taught when it comes to art, but has a biology degree from UC Berkeley and a formal background in secondary science education. Past clients have included Disney, Autodesk, Sony, Lerner Books, and many others. 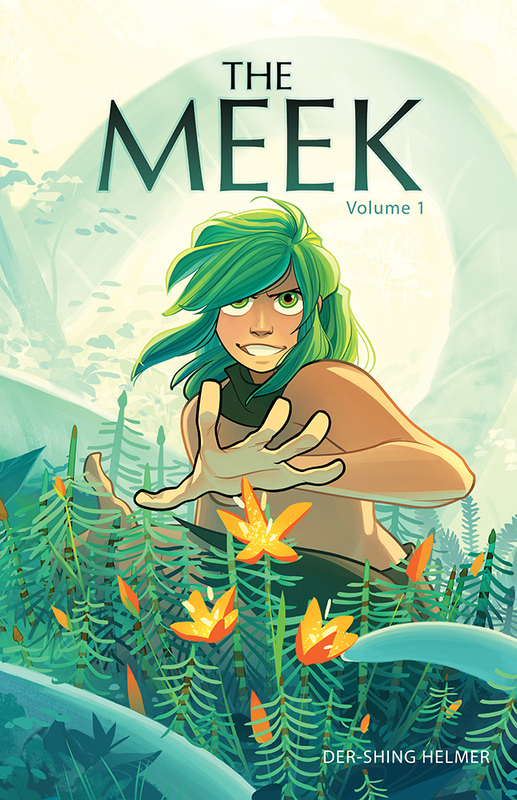 The Meek is a graphic novel about Angora, an inexperienced young girl who has been sent on a quest to save the world. War looms on the horizon, and at its helm is the Emperor of the North and his hellish adviser. The two countries are overwhelmed with as much terror, crime, disease and revolution as they are with those who wish to create peace. Armed with only her instincts and an unexplainable power, Angora must experience and judge the world—and decide once and for all if it is truly worth saving.